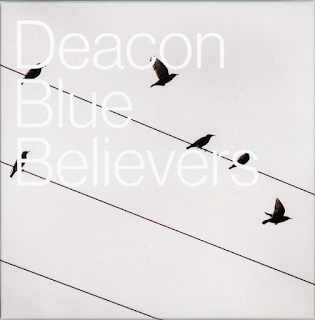 As with the previous two "later era" Deacon Blue albums, questions can be asked over the tinny, overloud, often crashing sound that the production gives them. This is not quite as bad as the others, slightly, but it has to be said that the production on the first five studio albums the released was miles better than on these recent ones. I love the songs on all these albums, but they don't get listened to as much as they should due to the off-putting production. I just feel a different sound would have made these albums so much better. On this album, turning it lower means you miss out on quite a bit in its soundscape, but turning it up louder means it sounds like a tinny mess. It is just not right, in my opinion, but therein lies my quandary, because the songs are bloomin' great. I will always have a great affection for Deacon Blue, so any misgivings will always be pushed aside. 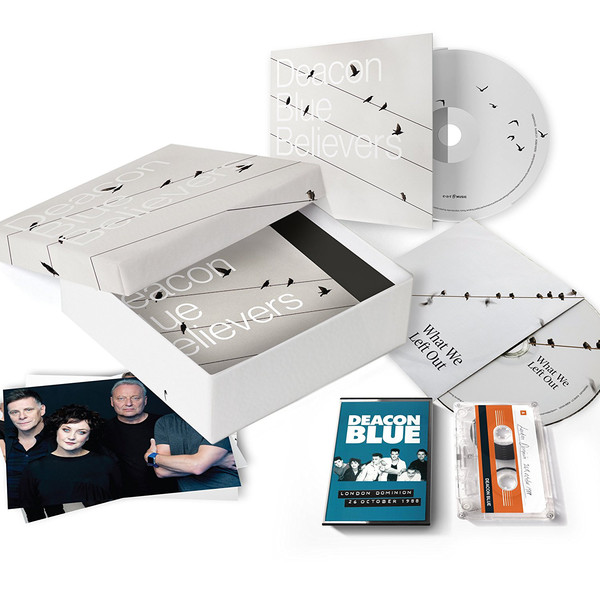 "The Believers" begins with some typical Deacon Blue piano and the sweeping keyboard "strings" that have become very recognisable on their latter-day tracks before Ricky Ross's equally familiar voice arrives. Lorraine MacIntosh is on here, loud and clear too. This is Deacon Blue as we know and love them - big production, dramatic, anthemic and uplifting. "This Is A Love Song" is very much in the same vein, with a delicious piano and vocal build up to another rousing, melodic chorus. "I Will And I Won't" is a sublime vocal duet between the two of them, backed by a plaintive piano. Ross certainly has always known how to write a killer love song. "Meteors" has a very Bruce Springsteen-influenced guitar intro. Lyrically and melodically it is very like some of his material too. Another atmospheric intro and vocal build-up brings us into "Gone", the chorus is just so catchy too. Ricky Ross is a very gifted songwriter with a real ear for both a lyric and a melody. "What I Left Out" is one of those haunting, reflective, sparsely backed Ross songs. There are real hints of Elvis Costello in this one, for me. "A Boy" has a shuffling, infectious and unusual rhythm to it. The chorus, however, is typical Deacon Blue. "Birds" once again has excellent vocals from both singers and that pounding, insistent drumbeat that leads into the refrain. Once again, also though, the production lets it down. Despite that it is still a lovely, beguiling song. "You Can't Know Everything" has a beautiful intro, full of musicality which continues throughout most of the song, save some of the crashing chorus parts which are over tinny and not nearly bassy enough for my liking. The ABBA-esque keyboard and percussion finale is irresistible, however. "Delivery Man" does what I have been waiting for, and turns the bass up. It brings back memories of the best of the "Fellow Hoodlums" album. "Come Awake" is a sombre, evocative number with that feeling of a cold winter's night in Edinburgh, Dundee or Glasgow to it. "B Boy" ends the album instrumentally with both orchestration and a gritty rhythm. An odd end to a generally very appealing offering. Put the sound problems to the back of your mind, as I did, eventually, there is plenty to enjoy here.